Instant Car Donation was founded with the goal of bringing donors and local charities together with an efficient and pleasant process. You can focus on deciding which of our respected charities is right for you instead of worrying about difficulties of researching how to make a donation. After your free pickup, we will assist you in recieving the best tax benefit possible for your generous gift. We take pride in helping smaller charities easily receive car donations, bringing people together while helping support those in the Greeley, Colorado community who need it the most. Here are some of our favorite charities in the Greeley area. We have made sure each of them are eligible for tax deductions when you help your local community by donating your car. Your values and choice can make a difference. The Boys & Girls Club of Cheyenne opened its doors in November 1997 when a group of concerned citizens saw the need for a place to mentor youth here. Since then, the Club has been in the forefront of youth development, working with young people from disadvantaged economic, social, and family circumstances. The Club has actively sought to enrich the lives of girls and boys whom other youth agencies failed to reach. The Club's mission is to inspire and enable all young people, especially those who need us most, to realize their full potential as productive, responsible and caring citizens. United Way of Laramie County's mission is to responsibly mobilize and leverage community resources to create long-term changes that produce healthy, educated and financially stable individuals and families in Laramie County. We envision a community where all individuals and families have the opportunity to achieve their full potential. United Way fights for the health, education, and financial stability of every person in every community. Since its founding in 1940 in Greeley, Colorado, United Way of Weld County (UWWC) has focused on discovering, funding, and developing programs that improve lives and catalyze social change. Today's United Way brings individuals, businesses, foundations, and public and private organizations together to achieve lasting positive change within our community. UWWC is one of almost 1,800 independent United Ways worldwide that trace their roots to the first United Way, which was founded in 1887 in Denver, Colorado, as a collaborative organization addressing the city's social welfare needs. The mission of UWWC is to improve lives by mobilizing the caring power of our community. There are lots of charities in your local Greeley area which can benefit from your automobile donation. We not only assist you contribute to a charity, but we also focus on providing with an effortless way so that they can concentrate on their work to take donations. The donation is likely to make the biggest difference for these charities, while helping to support those within their Colorado community who want it the most, bringing folks together. It's important to Instant Car Donation which you receive the greatest tax deduction advantage without having execute research or to navigate complexities possible. We all of our engaging charities would be tax deductible. The process will be streamlined for both you and the charity of your choice. We will help you following your finished donation with a 1098-C tax document. Car donations are the most fiscally accountable way for many folks to create a charitable donation. Because of this, one of our aims is to enable those electing a choice by ensuring that the vehicle goes to the charity which best reflects their values, like Weld Food Bank. We consistently make charity decision an essential part of the process when donating with us. We could do that in case you need us to decide that charity would be helped the most instead. Besides the charitable tax benefit rather than having the hassle of dealing with an older vehicle, the sensation of being able to help those in need may be the ideal reason to give your vehicle, like your Mercedes-Benz L1418, to a charity, like Boys & Girls Club of Cheyenne. When you choose to create a donation of a old car, like a Chevrolet Cobalt, if the non-profit organization, such as Boys & Girls Club of Cheyenne, sells the vehicle to get more than $500 they have to mail you a receipt that lets you subtract the sales price of the automobile, like a Oldsmobile Silhouette, in your tax return. If the older car you decided to donate is not worth at least 500 dollars, then the IRS allows you to ascertain the fair market value. This is the value that someone would be willing to buy the automobile, like a Mercury Monterey, in Greeley if purchasing it from you. You receive the tax deduction, along with the charity gets to utilize the vehicle sells it and uses the proceeds for the good of the charity, such as United Way of Laramie County. That is a wonderful thing for everyone involved. Car donation programs are becoming popular in Colorado over the last ten years or so, as more charities are searching for new and creative methods to create funds. These days, the number of charitable car donation programs is in the hundreds or perhaps tens of thousands. When you have a favorite Greeley charity, for example Weld Food Bank, you like to make contributions to, it is most likely possible for this charity to receive at least a portion of the funds if you give your old car. Most used car donation programs will sell your vehicle to raise funds for the reason, use the automobile, such as a Isuzu Stylus, in the everyday operations of their organization, or give the car, such as your Jeep Cherokee, to a somebody from Greeley who needs help either at no cost, or even for under the fair market value. One more advantage of donating a secondhand car to charity is your chance to simply eliminate the vehicle, like a Nissan Quest, without needing to try to fix or promote it. Most charitable automobile donation plans will except vehicles whether they're operating in need of repair. While there are numerous advantages to charities that receive donations from people, the benefits to the you, the donor might not be as apparent. The biggest advantage which the majority of individuals hear about is the opportunity for a tax deduction. This means that the resale value of the given vehicle can be written off in your tax return. There are some limitations on this sort of deduction, so you may choose to speak with a tax professional prior to making the donation. Charitable vehicle donation programs enable you to give your secondhand car to the charity of your choice, for example United Way of Laramie County. Visit our charities page to locate a charity in Colorado to donate to. Can there be a financial tax deduction for donating my car in Colorado? We can ensure your car, such as a Mazda 929, goes to a non-profit organization which is eligible help you recieve a reciept for the donation and for tax deductible donations. You might have the ability to acquire a tax advantage for your vehicle 18, if you itemize your deductions. For donations up to $500 it is possible to utilize Kelley Blue Book and for bigger contributions the charity needs to confirm what they recieved for the car donation (more info). How will my car be sent to the Greeley charity? 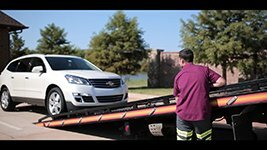 We will organize a tow truck to come get your car, like a Lexus GX, and send it for you. It could not be easier to help the charity, for example Weld Food Bank, of your choice now! Do you take donations for cars that are damaged or lost parts? Certainly, we accept cars in all conditions! Go to the form and ask to contribute, and our Greeley team will quickly see what we are able to do. Can you help me locate a Greeley charity that fits my values? We'd really like to help you make sure your donation goes to your cause in Greeley you care about by helping you select a charity, such as United Way of Laramie County, that fulfills with your values. In actuality, this is so important for us we do it each single time you give with us! Who can I donate my car or truck to in Greeley? Instant Car Donation proudly supports several respected local Greeley organizations in your regional area. Our Greeley team works hard for you to guarantee the organizaion recieves support for your vehicle. What are the DMV paperwork requirements? All owners around the car title must complete the section of the car title labeled "assignment of title by owner" or "transfer of ownership by seller". Most states require printing and signing owner names. You need to fill out any fields that require information about a buyer/purchaser/transferee with information. Detailed directions may be found by you here. Will my donation be completed fast? First we'll contact the charity of your choice (or pick one for you if you requested that rather than picked) to make sure they want your own car, such as a Koenigsegg Automotive Regera, which takes around one business day. We'll arrange for a tow truck to come for you for effortless pickup. If it is taking a little more time don't hesitate to give us a call. Have you got a vehicle, such as a Geo Prizm, just sitting in your garage or on your driveway that you have been intending to eliminate? A lot of us are prepared to depart an unneeded car sitting in our our driveway for a long time without even spending the time or cash to repair it. We believe that eventually we'll get around to selling it for a bit of extra cash, but it is in the base of our list of priorities. So that auto sits and sits and stays. Let us be fair. Are we really going to put in time and money to fix this car? If we were, wouldn't we have done it already? Not only is that this old automobile an eyesore, but we're also missing out on the opportunity to apply this precious resource to assist a charity like Legal Aid Society of Cleveland! 1 man's junk is another person's treasure, so they say. This is surely the case with car donations. A vehicle, like a Red Baron Motors Red Baron Motors, which is unneeded by you might provide just the perfect amount of financing to a charity at Greeley or beyond to fulfill its funding for a present or future job. If you donate your car, you are giving a precious treasure to a charity, as your donation allows them to continue their important work locally. United Way of Weld County in Greeley, Colorado is this a nonprofit. Its call to action is directly encouraged by your contribution--you can help the charity of your own choice, such as Weld Food Bank, to extend the reach and breadth of their great actions from the local community! We pride ourselves in helping you convert your unwanted car to actual treasure! Click the contribute button today to begin the process. When you let us know which you are ready to give your car, we'll arrange to get a completely free pick-up in Greeley or the regional region and sell your car. All you want to do is let us know which honored charity meets the phone of your own heart, and we'll do the rest. The very best part is that if you have the advantage of clearing out old, unneeded junk, you get to give funding to the charity of your choice, such as Partners Worldwide, and ultimately, you receive the maximum tax advantage for your contribution. We'll supply you with a tax receipt for your contribution, and make sure the charity of your choice receives the donation as well as the necessary IRS paperwork to accept your contribution. Is car donation just for clunkers? Lots of men and women think car donation is only to get older cars which don't come to an end of this driveway. This is simply not true. Many people donate attractively re conditioned cars that they've been taking great care of. Additionally, did you realize many auto collectors give their vehicles to charities each year? For example, actress Sharon Stone has been collecting vintage cars over the past 21 years and has donated seven of the trackable cars to charities. Donations like this can help non-profit organizations to help people in need, to feed the less fortunate, to teach youngsters, to provide afterschool programs, to offer clothing to displaced folks to help creatures and lots of other actions that are favorable. Of course you're able to donate some vehicle, such as being a Tesla Model 3, or a Cadillac Fleetwood, however exactly what creates Instant Car Donation unique is that people let you opt for a local charity such as Weld Food Bank or United Way of Laramie County from Greeley, Colorado, so that your donation can help your community community. Many car donation programs only permit you to contribute to one organization because they are often hired specifically by that charity because of their designated vehicle donation provider. We're very different. Charities not hire us. This also permits us to help hundreds of charities around the country like Preservation Alliance for Greater Philadelphia and Christ for all Nations. But, our distinctive ability to help local charities such as United Way of Weld County and Weld Food Bank in Greeley, Colorado, is the specialization. He contributed two vehicles worth $350,000 to help charitable causes. His cars had been an original 1970 Plymouth Hemi Cuda and a 1968, 350 horsepower Chevrolet Corvette convertible, were absolutely NOT junkers! Would you know some one with an additional car? Why not inquire if they would really like to contribute it to help a local charity like United Way of Laramie County at Greeley, Colorado or American Textile History Museum? It could be any car, like being a Volvo 240 Series or perhaps a Th!nk Th!nk City! The options are endless. When you give a vehicle, such as a GMNA (Opel & Daewoo) Roadster/G2X, you can contribute from the center. There are several worthy charities out there that are in need of your help, especially in Greeley. Require United Way of Laramie County in Greeley, Colorado. This a fantastic example of a charity which touches the lives of numerous in the local community. We can't all do the major work that United Way of Laramie County does, but we can all lend a hand to enable and further its mission. Do you have a car in need of a new house? Before you click on the donate button, then take a while to look through the numerous pages of charities, like Loaves & Fishes Community Services, which we partner with. Which of these talk to your heart? Then take a minute to reflect. What dreams do you need for your people of your community? Then, imagine how by even taking an action as small as donating your car in Greeley, you are in a position to help make these wishes come true. Imagine what string of events that your automobile donation might set off in Greeley and beyond. Do the wishes that you have go past the pages of our website? Probably. We should all dream large, especially when it has to do with the great wishes and joy which we earn for others. But some us of may realize that the charity we all want to contribute our car to isn't listed on this website. We can help! You can still click the donate button and let us understand that there is a worthy charity, such as Sea Turtle Conservancy, out there which that is not listed on our site. We will get that charity and use our resources to be sure that it can get your donation. The procedure is straightforward. When you click on the donate button and then let us know you are prepared to donate your car, such as a Bugatti Chiron. We'll organize a free pickup for your vehicle in Greeley or the local area, and list on the auction to get the highest price possible so we could produce the most donation potential for your charity of your choice, including United Way of Weld County. Not only would you get to donate your vehicle from the heart, but you are also qualified for a tax-deduction. We will complete your tax receipt and provide the non-profit with needed IRS paperwork in addition to your own donation. Giving from the heart could not be easier! If you make the decision to give your vehicle, such as a Geo Metro, to confirm a cause that you care about, you recieve the advantage of a tax deduction - and the charity like JVS receives the benefit of the funding to host projects or programs. But did you know your automobile donation can also give the advantage of living that is greener through recycling? Recycle, reduce, and repurpose are all terms we are extremely comfortable with these days. We take the time to form our recyclables to plastics, glass, aluminum and paper. But in case you ever feel that automobiles were a significant part of recycling? And, the majority of us do not have time or power to fix up our cars so that we are able to sell ourselves, and fetch the highest price for what we have. That's where we all come in. When you donate your car, we organize a complimentary pickup and sale of your vehicle at a local market in Greeley. At the auction, your automobile will be run on by a individual, used car salesman, or mechanic that wants to give your auto new life, also has skills and time to do it. That's to say that by donating your vehicle, you are actually giving it a new function! Who knew that donating a car could achieve a lot of crucial goals at once? As soon as we donate a car, we gain a charity such as Nicholas House by providing them much-needed funding, consider the burden of repairing the auto from ourselves, and we repurpose and recycle our vehicle! Can each charity manage the work it takes to process a car donation? Regrettably, no. Take the instance of Boys & Girls Club of Cheyenne in Greeley, Colorado. United Way of Weld County may not find enough efficacy in managing the towing, titlework and selling of a donated car. And therefore, United Way of Laramie County might not have the ability to rely on automobile gifts as a source of funding. But during our streamlined process, funding from the sale of your car can really make a difference for non profits such as Weld Food Bank. We can give charities like United Way of Hunterdon County a hands while some more joyful, more simple life.